Levante is a wind that blows across the Mediterranean and can change from tranquil calm to gale force in an instant. The Maserati SUV that bears its name is just the same, although its mighty power always remains under perfect control. Peak performance, whatever the terrain. On or off-road, this showpiece of Italian design masters the situation with the power and capability of a Maserati. 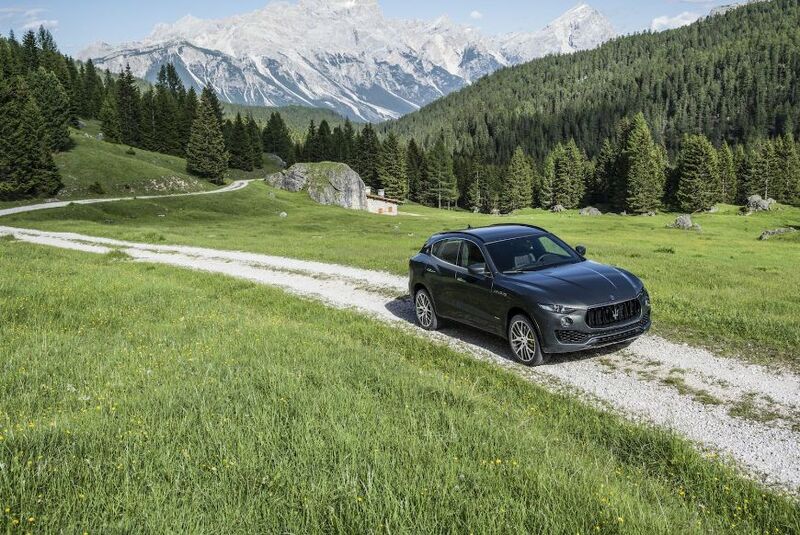 Engineered for all-terrain adventure, the Levante S navigates every twist and turn, with even more power and exhilarating performance. With GranLusso trim, the styling is focused on luxury. GranSport trim, meanwhile, concentrates on engaging driving dynamics. Each offers important new advanced driver-assistance features and an innovative new power steering system, as well as a significant power boost for the Maranello-built V6 engine. Together, elegant Italian style, meticulously crafted finishes, and a unique, race-bred energy inspire luxurious, long-distance travel. 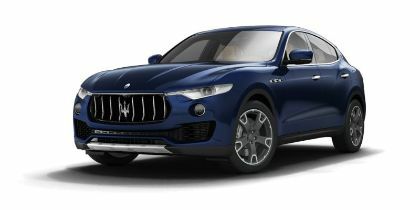 The Levante also imparts a liberating feeling of spacious comfort for all on board, a welcome surprise given the coupe-like styling and compact exterior proportions of Maserati’s striking SUV. 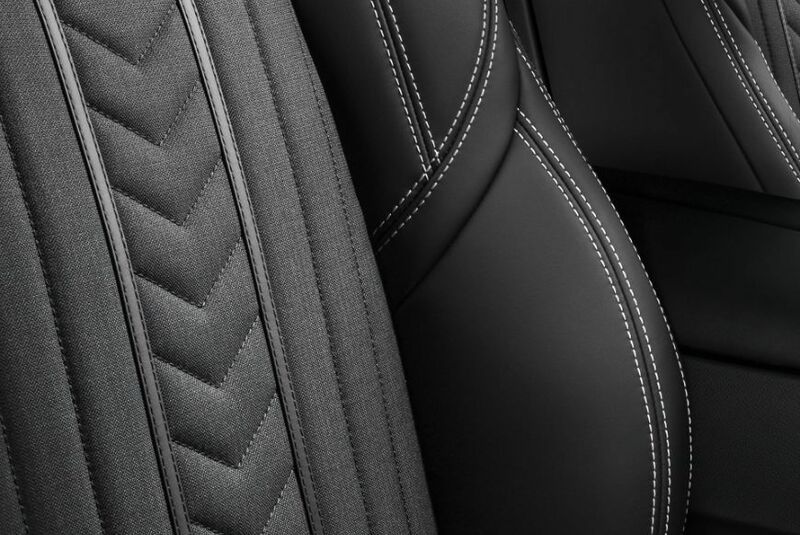 The seats of the Levante are hand-stitched and finished in sumptuous leather. 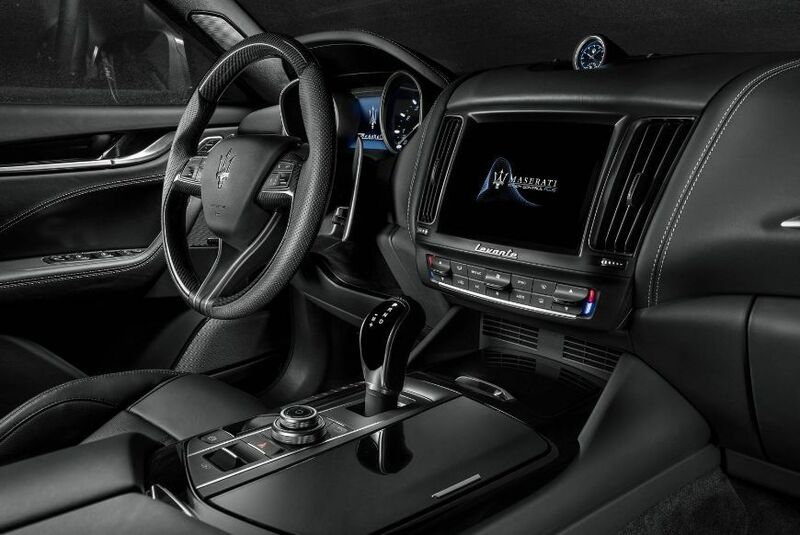 Maserati also offers the Ermenegildo Zegna Silk Edition interior, standard on GranLusso. It combines the finest leather with mulberry silk inserts, embellished with a hand-stitched micro-chevron pattern. The door panels, roof lining and sun visor are covered with Zegna silk jersey. All switches and controls are designed to be close at hand and intuitive in their operation. The speedometer and rev counter, housed in a leather-finished binnacle, are large and backlit with soft white light to ensure crisp clarity at all times. Integrated among this instrumentation is a 7-inch TFT display that presents essential driving data. 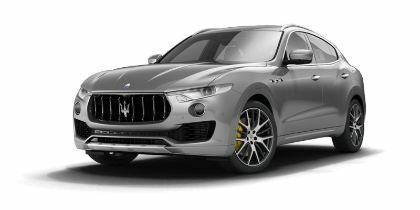 To fulfill its dual role of luxury SUV and go-anywhere four-by-four, the Maserati Levante features some of the most sophisticated air suspension technology in the world. 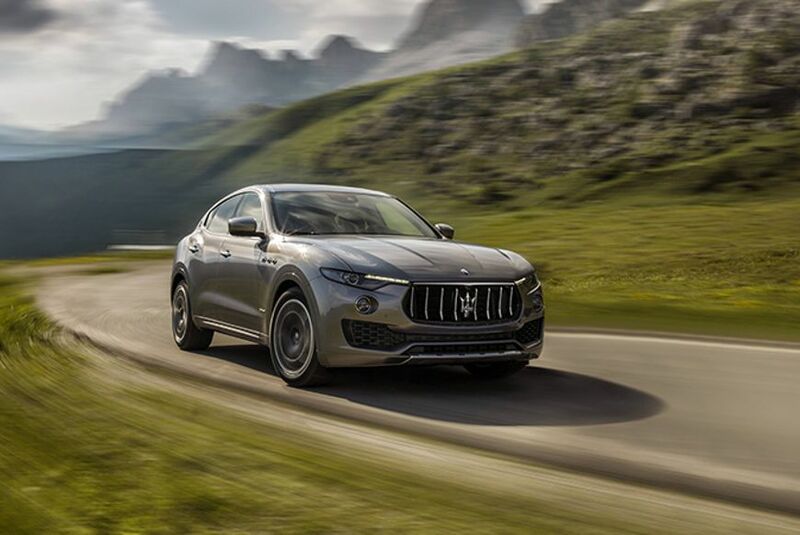 Along with advanced Maserati Q4 intelligent all-wheel-drive technology, the Levante also benefits from an advanced active air suspension system that raises or lowers the vehicle according to need or preference. With six settings to choose from (including Park), the driver can select whatever height is appropriate for the road or terrain, from a high clearance for challenging off-road excursions to a low setting for fast, smooth and efficient highway driving. The Levante is the only SUV in its class equipped with mechanical Limited-Slip Differential (LSD) at the rear axle. Fitted as standard, this technology optimizes traction in all driving situations. The asymmetric locking feature offers 25% lockup under power and 35% under release. Maserati Touch Control Plus (MTC+): the elegant display of the 8.4-inch MTC+ unit takes pride of place at the center of the Levante dashboard. 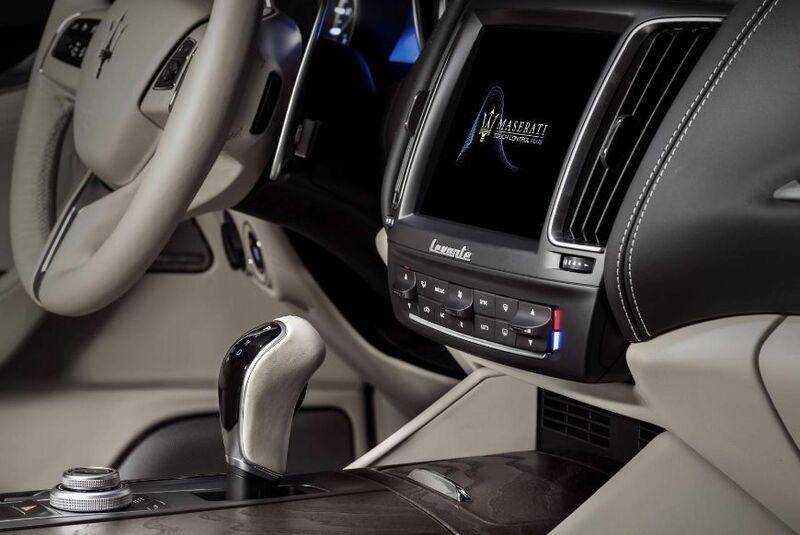 With a minimum of buttons that incorporate multimedia and cabin functions, it can be operated in three ways: via the multi-touch screen, the rotary control on the center console or through voice commands. *Apple CarPlay® and Android Auto™: the MTC+ supports the convenience of both Apple CarPlay and Android Auto mirroring functions. Harman Kardon Premium Sound system: this state-of-the-art entertainment system delivers rich and detailed sound quality, whether the source is radio, MP3 player, iPhone® or audio streaming device. It features a 900-watt amplifier and 14 speakers with high-power handling capability carefully distributed throughout the cabin. 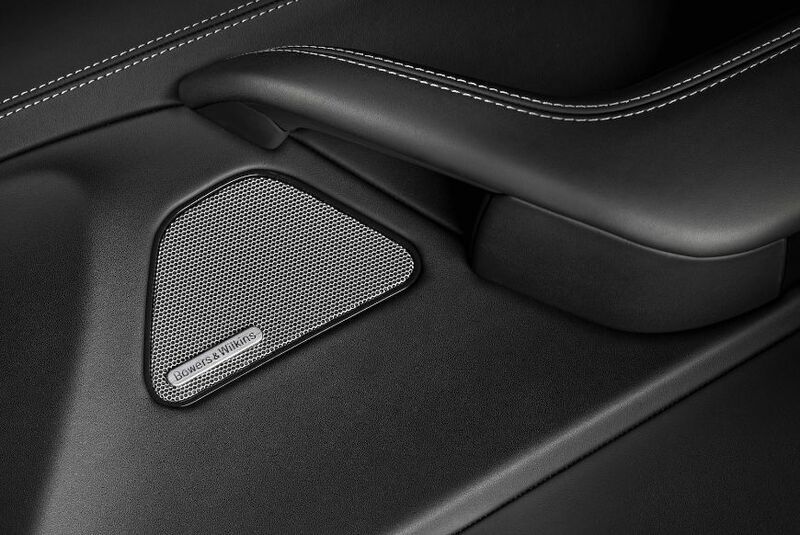 Bowers & Wilkins Surround Sound system: this optional entertainment system features 17 speakers, including mid-range drivers and rear woofers made from Kevlar®, each strategically built into the SUV’s architecture and powered by a 1,280-watt amplifier to deliver immersive sound for all on board.